The movie Guardians of the Galaxy 2: trailer, clips, photos, soundtrack, news and much more! Who’s your favorite character from the Guardians of the Galaxy movie franchise? Are you excited about the second installment? 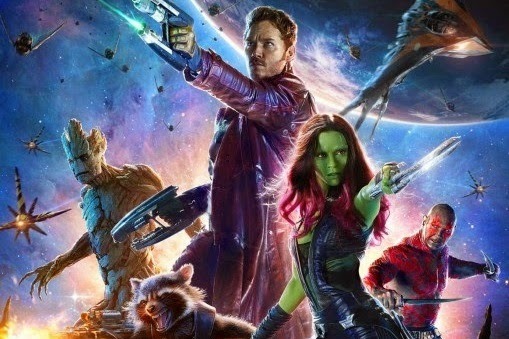 The sequel to Guardians of the Galaxy will hit theaters on May 5, 2017. Do you have what it takes to join Starlord and his friends on their new mission to yet again save the galaxy? Even without VFX effects the set of Guardians of the Galaxy 2 totally feels otherworldly! The film will hit theaters on May 5, 2017. Everything looks better with the glow of a neon light, nope? Love this new trailer of Guardians of the Galaxy 2, but the aliens and the worlds we’re shown are so flashy kitsch! Well, I guess that’s part of the franchise’s DNA and its charm, lol. In theaters: May 5, 2017. So are you excited about the film? Are you enamored with little Groot? That was indeed an awesome trailer: the freaking Guardians of the Galaxy rule! Star-Lords and his crew of crazy aliens are back for an epic sequel! Can’t wait to see the whole thing! And you? By the way, do you think little Groot will steal the show? Is his spaceship crashing? Or is it under attack? What do you think? The movie GOTG 2 will hit theaters on May 5, 2017. Little Groot looks so cute, I bet he’s going to steal the show! The film will open in theaters on May 7, 2017. That green goo looks disgusting… Zoe Saldana is a really dedicated thespian, isn’t she? The film is directed by James Gunn. It will be released on May 5, 2017 by Marvel. The sequel to Guardians of the Galaxy is officially titled Guardians of the Galaxy Volume 2. The film will be written and directed by James Gunn (whow rote and helmed the first GOTG film). The plot is still kept under wraps and no official plot synopsis has been released. BUt the director said it will be more emotional. Does that mean we will learn more about Peter Quill’s mysterious abduction? Maybe he will get to see his father? Anyway, Actor Chris Pratt is of course returning as Peter Quill. The release date of Guardians of the Galaxy Vol. 2 is set to May 5, 2017. Stay tuned with us for more details about the movie Guardians of the Galaxy Vol. 2. Marvel is already planning a sequel to Guardians of the Galaxy, the 2014 action science-fiction movie starring Chris Pratt as Starlord. There’s even a release date for the space adventure movie sequel: Guardians of the Galaxy 2 should indeed hit theaters on July 28, 2017! 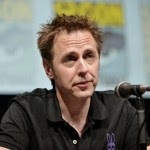 Director James Gunn will be back to write and helm the film. And I guess Chris Pratt and most of the cast will return. Do you have any suggestion regarding the plot of Guardians of the Galaxy 2? Are you glad to hear about the sequel? Share your thoughts below! Anyway, stay tuned with us for more details about Guardians of the Galaxy 2.